Posted on Thu, Mar 22, 2012 : 5:58 a.m. The Ypsilanti Meals on Wheels will hold its "Annual Celebrity Benefit Dinner" at the Ann Arbor Marriott Ypsilanti at Eagle Crest. 5 to 9 p.m. Enjoy a buffet meal, music by John E. Lawrence and the WCC Jazz Combo. All tips collected will go directly to Ypsilanti Meals on Wheels to help deliver meals to local homebound individuals. $19.95 per person, $8.95 for children. 1275 S. Huron St., Ypsilanti. 734-487-2000. 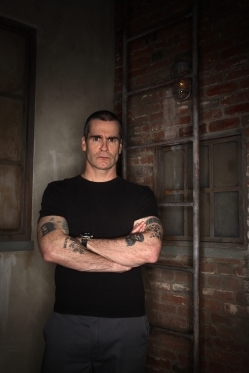 Punk rocker and storyteller Henry Rollins returns to the Michigan Theater on Thursday night. Catch the "American Mavericks Festival" at Hill Auditorium this weekend. Today, 7:30 p.m. Friday and Saturday, 8 p.m. Sunday, 4 p.m. The festival commemorates the San Francisco Symphony’s centennial season. Michael Tilson Thomas will conduct the symphony and a dynamic roster of guest soloists.Tickets start at $10. For tickets or information, call 734-764-2538 or go online to www.ums.org. Tickets can be purchased at the Michigan League Ticket Office. Hill is at 825 N. University Ave., Ann Arbor. 734-763-3333. Punk rocker and storyteller Henry Rollins returns to the Michigan Theater at 8 p.m. Rollins will bring his humorous and human stories from the road less traveled. He is known for fronting the baddest, most primal rock-and-roll band in history. Since '86, he has enjoyed a more pleasant lifestyle and career as a singer and poet. $25. Tickets online at www.ticketmaster.com and at all Ticketmaster outlets. To charge by phone, call 800-745-3000. 603 E. Liberty St., Ann Arbor. 734-668-8397. Americana band The Steel Wheels will perform at the Ark at. 8 p.m. Rooted in musical styles that explore the territories among blues, bluegrass, old-time sing-alongs and foot-stomping fiddle tunes, they are subtle innovators who respect the past but make their own tunes. $15. 316 S. Main St., Ann Arbor. 734-761-1800.